According to head of Penta Center for Applied Political Studies Volodymyr Fesenko, Kyiv Mayor Vitali Klitschko is actively using his personal popularity to promote the image of the Ukrainian capital. Commenting on a recent visit of the Kyiv Mayor to the German city of Esse to attend in the Congress of the Christian Democratic Union, led by German Chancellor Angela Merkel, Volodymyr Fesenko said: "If, besides participation in sports events, he also has business meeting, then those sports events are a sort of a bait to attract attention. Especially given Vitali’s popularity there, and it’s perfectly fine to once again remind of himself, even in this context." "Besides, Volodymyr Fesenko said that Vitali Klitschko may go on such foreign visits with a view to attract foreign investment for the Kyiv city projects. "This is also a way. It may be. We must remember that Vitali is not a bureaucrat mayor, not a fanatic mayor, but a man who has built his own reputation. Therefore, this can be a way to draw attention to the visit and creating additional PR," said Mr Fesenko. 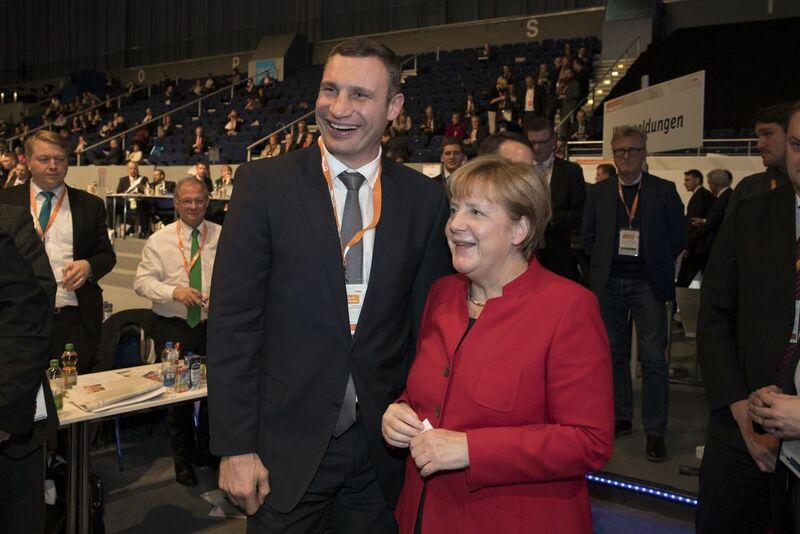 Read alsoKlitschko: Germans to allocate EUR 200,000 for completion of Podilsko-Voskresenskiy bridgeAs reported earlier, in July this year, Vitali Klitschko along with a delegation of German experts and businessmen, led by the State Secretary of the Ministry of Transport and Digital Infrastructure in Germany Reiner Bomba visited the construction site of the unfinished Podilsko-Voskresenskiy bridge. After that, the media reported on the negotiations about investments of the German side in the bridge construction.